Fortunately, Encounter’s Broadside and Intelligence series offer indispensable ammunition for intelligent debate on these critical issues of our time. With a staunch allegiance to the truth, these timely essays resurrect 18th-century pamphleteering to take on everything from the failures of the redistribution of wealth, to the twisting of Title IX, to the dangers of the increasingly unchecked media bias. Saving the Republic, a collection of interventions by Encounter, is a necessary resource of critical thought and commonsense on how to safeguard the promise of America. Saving the Republic is edited by Roger Kimball with contributions from Jay Cost, Philip Hamburger, Mollie Ziegler Hemingway, David B. Kopel, Greg Lukianoff, Andrew C. McCarthy, Jared Meyer, James Piereson, Claudia Rosett, Avik Roy, Robert L. Shibley, Michael Walsh, and Kevin D. Williamson. Together these authors make the definitive case for liberty and democratic capitalism at a time when they are under siege from the resurgence of collectivist sentiment. Roger Kimball is Editor and Publisher of The New Criterion and President and Publisher of Encounter Books. He is an art critic for National Review and writes a regular column for PJ Media. 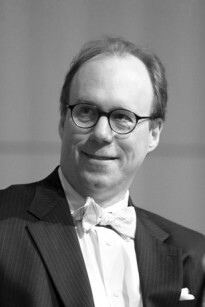 Mr. Kimball lectures widely and has appeared on national radio and television programs as well as the BBC. These fourteen essays first appeared as short monographs as part of Encounter Books’ Broadside series—during and after the heated 2016 presidential election campaign and victory of Donald Trump. They address a variety of contemporary dangers to the American republic under the general aegis that our government is becoming far too big, too powerful, and too dangerous. If the successful populist presidential campaign of Trump, and his signature slogans of “Make America Great” and “Drain the swamp” make this collection especially timely, the authors in turn also remind us why people were justifiably infuriated by the status quo and felt pushed to the edge in 2016. The warnings of Saving the Republic are diverse. The wide range of topics is justified by the multifaceted pathologies that are eroding constitutional government. That said, all the essays also share a common historical approach of charting the relentless and insidious explosive growth of the administrative state in the late twentieth-century. They also ominously conclude with warnings that either the finite resources of the state are now nearing exhaustion as the demands put upon them continue to escalate or that the administrative state has made the current U.S. government almost unrecognizable from what the Founders envisioned. The irony of supposedly good intentions gone wrong is also thematic. One would expect naiveté from rigid bureaucracies, which, unlike individuals, do not react quickly to changing stimuli and unfamiliar conditions. So gun violence grows as gun control spreads, almost as if our inability to deal with the felony is psychologically excused by focusing on the misdemeanor. The same state that once had the power to ensure race-based segregated houses naturally demands race-based remedies to many of its own self-inflicted disasters. Left-wing free speech movements on campus turn totalitarian as unpopular speech is libeled as hate-filled—and thus cannot be free. Government mandated redistribution to alleviate inequality usually leads to greater impoverishment. Equality is achieved only in the sense of making richer people poorer rather than poorer people richer. The United Nations are neither united nor in most cases even nations as we understand that word. The essays however are not pessimistic, despite detailing the existential dangers posed by the expanding administrative state. They offer recognizable antidotes that are as time tried as they are simple: trust the individual to make better decisions than unelected bureaucrats. Seek solutions by empowering grass-roots democratic bodies rather than distant, centralized, and unelected agencies. Understand the fated cycle of higher taxes leading to larger government to less freedom and to greater impoverishment. Accommodate and react to predictable and unchanging human nature rather than empowering the state to change or deny it. Place confidence in human ingenuity and inventiveness as collective assets rather than demonizing them as selfish and disruptive traits deserving of fear and punishment. The huge and still growing permanent bureaucracy and deathless administrative state become unaccountable to the voters by outliving elected officials, outlasting reform movements, and counting on revolving door elected officials to stay dependent on stationary and tenured entrenched “experts.” One natural result, according to Jay Cost’s initial essay, is that a pragmatic attitude “if you cannot beat them, join them,” leads to the permanence of crony capitalists, both liberal and conservative. These insiders stifle competition. They redirect economic activity away from market rationalism and private sector profit and loss. And they drive up consumer costs. Crony capitalism ensures that regulations are aimed at perceived innovative competitors who play by new rules, while government and private sector managers switch occupations so frequently that they become almost indistinguishable. 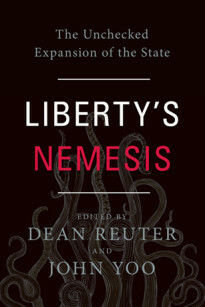 Philip Hamburger emphasizes how the growing tentacles of the government octopus are nourished by the full assets of the state. In comparison, the targeted individual citizen usually has neither the time nor the money to fight back, whether in the courts or against imposed regulations or when hounded by vindictive civil servants who are legally and financially exempt from the consequences of their overreach. The local midlevel bureaucrat can draw on resources to make his regulatory case that his targeted offender cannot match—a fact known to a state auditor that only further encourages his sense of unchecked ambition and vindictiveness. The psychosocial landscape assumes that the state is working on behalf of the people, the individual solely for himself. It is difficult to know in this chicken-and-the-egg dilemma, whether such an administrative state restricted our freedoms or whether those opposed to free expression naturally created the administrative state. It is perhaps easier to appreciate just how compatible bureaucracies are with censorship and a servile press. As Mollie Ziegler Hemingway next shows in a prescient essay on the new twentieth-first-century media—written during and right after release of the WikiLeaks trove revealing journalists’ collusion with the 2016 Hillary Clinton campaign—cronyism is not just confined to business. It also infects and has nearly destroyed a once independent media as well. Like their corporate counterparts, journalists go in and out of government. Indeed, one reason that they are overwhelmingly liberal perhaps is because the administrative state offers them so many revolving doors for profitable sinecures. The administrative state’s bicoastal culture mimics the tastes and values of the big media. But far more importantly, modern journalism accepts the presumptions of both the administrative state and elitist crony capitalism: the shared notion that one can afford to be utopian and adopt ideological principles on the assurance that the real-life consequences can be avoided as they fall on the less well connected. Translated to the 2016 election that meant the pitchfork-bearing outsiders were largely in the red-state swath between the two coastal corridors, and furious over the hypocrisy and arrogance of the ruling class. So it is no accident that the media despised Donald Trump, not just as yet another conservative but as a reckless and uncouth conservative outsider who won through mesmerizing what Sen. John McCain once dismissed as the “crazies.” It was also no surprise that media disdain was joined by the animosity of deep state employees and insider corporations.